We knew that our time with Rocket was going to be limited when we discovered a pea-sized lump in her groin last November. She got over her snuffles and, while the lump was growing, it was growing very slowly. 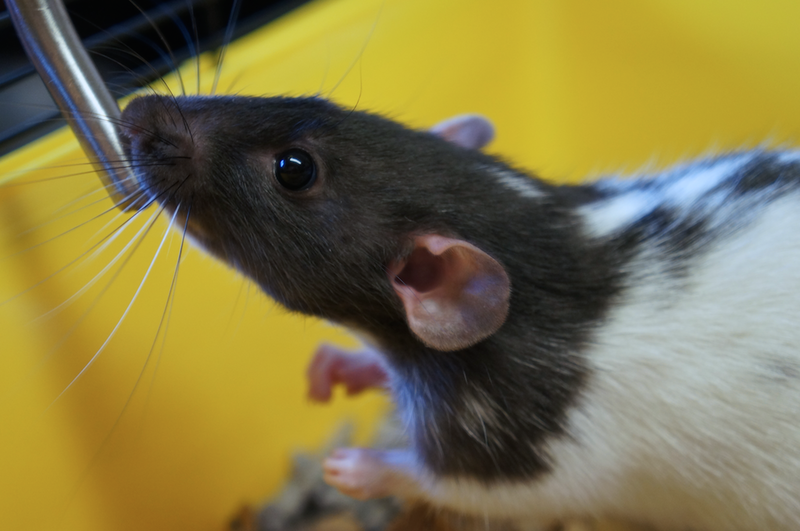 She was showing signs of ageing: generally slowing down, happy to just find somewhere to curl up when she was out with us in the evening, a little weakness in her back legs, and generally turning into a grumpy old rat. She had always been a “toothy” rat, ready to give a bit of a nip to get your attention or express her irritability, and this behaviour got more pronounced over the last few months. In the end, a few weeks ago, Rocket left us as quickly as she had arrived. Those signs of ageing were, with hindsight, signs of a pituitary tumour and she went from being a happy sofa companion one evening to being unable to hold her food the next. Her decline was so rapid and so drastic. I spent the evening cuddling her and feeding her, and took her for a last visit to the vet the next morning. 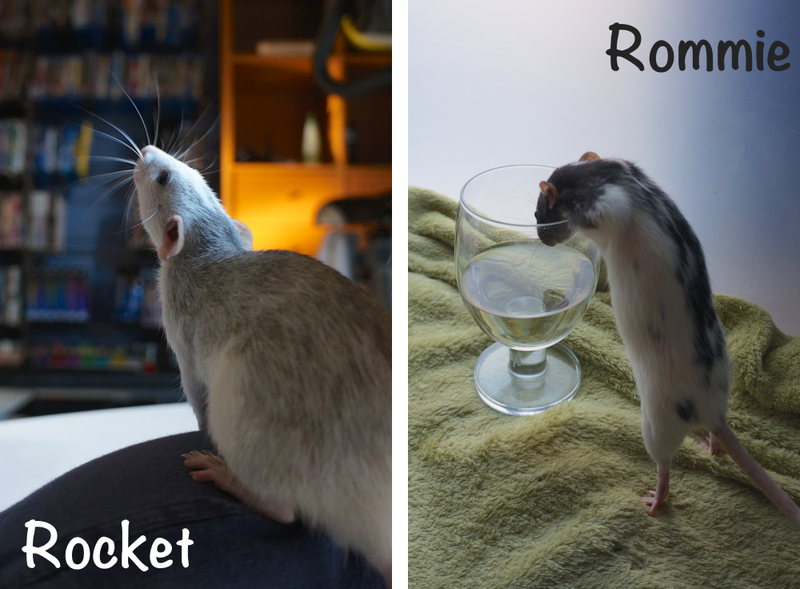 Rocket was a very special grumpy rat who stole my heart and she will be greatly missed.